PLEASE READ! 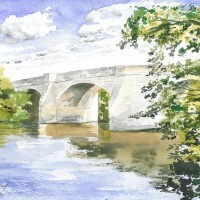 !….MASHAM BRIDGE CLOSES WEEK OF 18TH MARCH 2019. 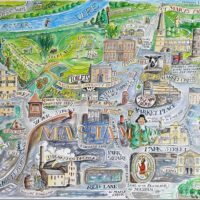 It sounds like Masham is going to be cut off from the outside world whilst Masham Bridge is closed for resurfacing work. The bridge will be closed to all traffic 24 hours a day from Monday 18th – Friday 22nd March with pedestrian access over the bridge. Working hours will be between 8am and 5pm but the bridge will be permanently closed day and night. As a result, in order to repair the bridge surfacing fully, the surface, binder and base course of the bridge need to be replaced. Once completed, this should last for 25 years before further resurfacing is required. Traffic will not be able to cross the bridge whilst the base/binder and structure of the bridge are exposed. To further complicate matters, there is a gas main running through the base/binder layer of the surfacing, around which great care will need to be taken whilst excavating. The diversion adds on a mere 90 minutes to your journey. East of Masham on the B6267 through Nosterfield towards the A1, south on the A6055, A61 to Ripon, through Ripon and out on the Kirkby Road to Grewelthorpe and eventually to Masham. Don’t try and take the A6108 out of Ripon to Masham as that is also closed for resurfacing! 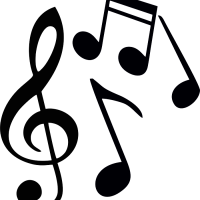 Then the following week, Silver Street, Church Street, Park Street and Thorpe Road in the middle of Masham are to be resurfaced for the week commencing 25th March 2019 and will last for 5 days, working hours will be between 5pm and 11pm. All on street parking will be suspended during working hours so please ensure your vehicles are not left on the highway. 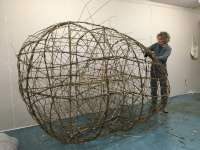 Swift Experts Come to Masham. 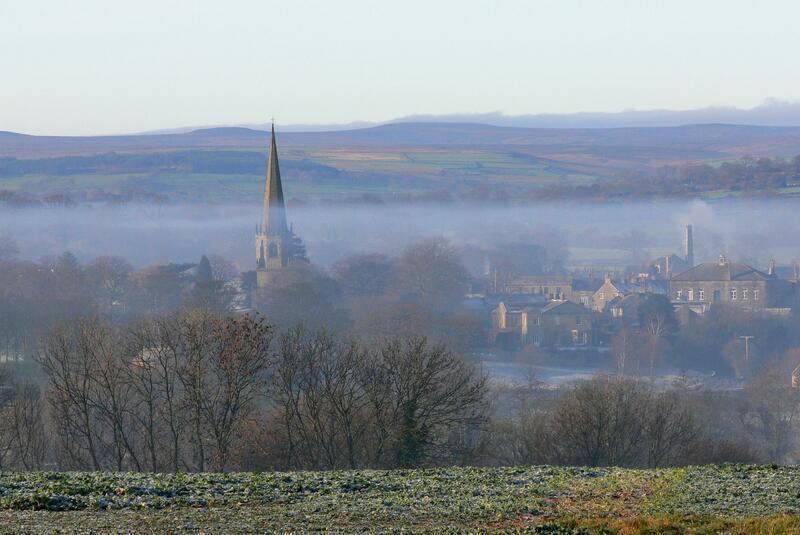 Two experts in swift conservation are visiting Masham Town Hall on Friday, 15th March to speak at a public meeting organised by the Mashamshire Swift Conservation Community Project. The meeting will start at 7pm and end around 9.30pm. 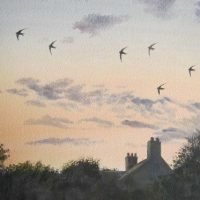 There has been a 50% drop in the number of swifts visiting the area over the last 25 years, partly due to a loss of nesting sites as old buildings are demolished or renovated. The holes in the eaves which swifts prefer to nest in are being filled in. This can be relatively easily addressed by installing swift bricks in new builds and renovations, or by putting up swift nest boxes on the outside of existing buildings. If a pair of swifts returns from Africa to the UK in early May and find their nest site has gone, they are likely to give up with breeding and return early. The Masham project was started about 18 months ago and succeeded in getting over 50 nest boxes put up ready for the swifts last summer. It is hoped that they will attract breeding pairs this summer after last years immature birds (or ‘bangers’ as they are called) return having prospected the new nest sites last year. Young swifts are on the wing day and night for a few years before they begin breeding and return to look for a nest site close to where they were reared. The Swinton Estate is opening up 200 acres of historic Parkland to members of the public with the launch of four exclusive walks on the iFootpath website and App. From 1st February, walkers will be able to access eight miles of private paths in return for a nominal charge that also includes printed maps of the routes and a souvenir packet of wild seeds. The contribution supports the vital conservation and sustainability of the Grade II listed Parkland, landscaped by William Danby in the 1760s, and accompanies the Estate’s ongoing investment in restoring its buildings and features. The Parkland was left to grow wild for 25 years prior to current owners, Mark and Felicity Cunliffe-Lister, buying the castle back into the family in 2000. Only accessible to guests of Swinton Park hotel until now, the new Parkland walks feature a summer flower meadow, four acre walled garden, bird hide and children’s play area and offer spectacular views of the lakes and gardens, follies and bridges, standing stones, waterfalls and moorland Dales. The walks can be accessed via the Estate Shop and entry costs £5 per person, £2.50 per child or £12 for a family of four. Under fives go free and all dogs are welcome as long as they are kept under control. An annual pass is also available for £50, which includes a free guest. The iFootpath App is available for £1.99. Guests of Swinton Park hotel and Swinton Country Club & Spa members will continue to enjoy complimentary access. 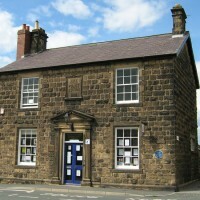 The Making of Mashamshire Community Heritage Project and Masham CE Primary School are hosting a poignant exhibition of the stories, memories and memorabilia of the Mashamshire men who fought in World War One at Masham Town Hall. Pop in and find out more whilst the Town Hall is open from dawn until dusk!